In less than a month Americans celebrate Tax Day. And when I say “celebrate,” I really mean dread, loathe, mourn, curse, bemoan, lament or otherwise observe with wailing and gnashing of teeth. But besides the annual reminder of our disdain for the Internal Revenue Service, this is the time of year when we would do well to remember the risks inherent with sharing our most sensitive financial data. And in case you need to be reminded why Tax Time is so fraught with peril, let’s take a walk down (recent) memory lane. Bloomberg Businessweek reported that on March 17 of this year the IRS disclosed that one of its employees took home a thumb drive containing the personal data of 20,000 fellow workers. While not a breach of tax data, per se, it is an example of the vulnerability of protected information within the IRS. The Seattle Times has been following a story of tax fraud traced to a data breach at the Seattle Archdiocese. The situation is being investigated following reports of tax and identity fraud by a number of employees and volunteers from churches within the diocese. 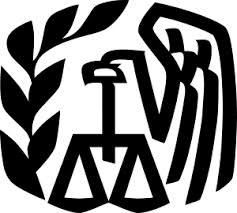 In February the Press-Citizen reported irregular tax filing activities affecting employees of the University of Northern Iowa. The school has not yet identified the source of the breach, but more than 140 university employees have said tax returns have been filed in their names, they have been declared as dependents on other tax returns, and lines of credit have been opened under others. In Rochester, Minn., the Post-Bulletin reported a data breach at Olmsted Medical Center that, according to eSecurityPlanet.com has since been found to involve the unlawful access of hospital databases and theft of employee W-2 tax forms. The IRS has reported that investigations into fraudulent tax filing have increased annually, including a 66 percent rise from 2012 to 2013, according to the Wall Street Journal. That paper also reports that part of the problem is the ease of perpetrating tax fraud through the electronic filing system. Filing taxes every year is, unfortunately, mandatory. And unlike many financial relationships, there’s no option to choose a different vendor because we’ve lost confidence in the one we have. We’re stuck with the status quo until the IRS and individual state agencies change their systems and increase safeguards. And we’re stuck with depending on the security systems and processes of the places we work, shop, and otherwise do business and conduct our affairs. But we can speak up and ask our vendors to do better. We can take our business elsewhere when a retailer lets us down and tell them why. We can write to our members of Congress and demand better security and more accountability from our government. And we can be more vigilant in not sharing information when we don’t have to and protecting the information we share when we do.